Early reader copies of THE DOLLMAKER have arrived! I’m delighted to have the book in my hands and to know it’s only a few months until I hear what readers think of forensic pathologist Tessa McGowan, Virginia State Police Agent Dakota Sharp, Shield computer expert Garrett Andrews and newcomer Jacob McLean, and the (I think) frightening killer they’re desperate to stop. 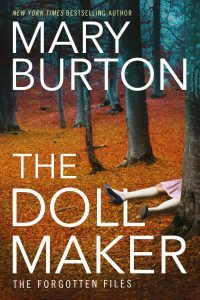 The Dollmaker goes on sale 11/15/16.